and when did they know it? 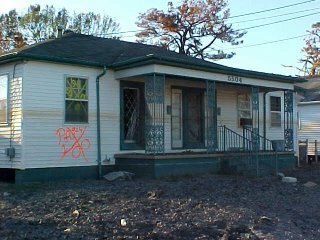 March 27, 2006 issue - The Bush administration maintains top officials were unaware until the next day, but e-mails show that by the late evening of Aug. 29, some policymakers were told the damage to New Orleans might be worse than depicted on TV. In an e-mail to Homeland Deputy Secretary Michael Jackson at 11:05 p.m., Patrick Rhode, a top aide to FEMA chief Michael Brown, reported that a FEMA official in New Orleans had described a 200-yard levee breach near Lake Pontchartrain, that people were being rescued from housetops, that there were "unconfirmed random body sightings" and that 60 percent of the city seemed flooded. Earlier, in an e-mail to Homeland Secretary Michael Chertoff's chief and deputy chief of staff, Brian Besanceney, Chertoff's top media adviser, warned that "unconfirmed" reports from New Orleans "are far more serious than media reports are currently reflecting." For those who still require convincing evidence that the Katrina tragedy could have been avoided comes this episode of PBS's Nova, called Storm That Drowned a City. Among several faces that became familiar to the American public during the height of the storm coverage is that of Ivor van Heerden, a hurricane expert at Louisiana State University. Like AFGE's Leo Bosner, president of the Local at FEMA headquarters, van Heerden tried to alert any official he could reach to the tragedy that awaited New Orleaneans who remained in the city after the storm hit. The biggest failing in all of this was we should have warned everybody. We could have told the media on Monday night. The levees apparently broke Monday afternoon—the ones that really flooded the main city of New Orleans. We could have got to the media. We could have had vehicles driving on the interstates with bullhorns, telling people. We even could have used helicopters with bullhorns. We could have warned the people, "A big flood's coming, take evasive action." We didn't. The waterline halfway up the siding on this house in Picayune, Mississippi, means that although it's still standing, it will need to be rebuilt. The orange markings indicate that the house was searched by rescue teams, and no bodies were found. Brother Paul Treuting, president of Local 1707 of the Laborers International Union (North America), kindly sent AFGE his account of New Orleans, his hometown, after the storm, a story he originally sent his LIUNA collegues in late September. Treuting works on a National Guard base in Mississippi. Those areas that were flooded were searched for the living by Task Force Teams from Colorado, New Mexico, Nevada, Missouri, New Hampshire and California. Listening to those folks' stories at dinner was amazing. Where the water stopped is where they launched their boats. Each team was given a neighborhood to search. They would go door-to-door, knocking and beating on a home for any response. Some folks were still in their attics and replied with their frantic calls. Many were rescued through holes that were either axed or chain-sawed. Homes where bodies were found were marked with red spray paint and the location marked by GPS coordinates. Click here to read Brother Treuting's complete story. In October, FEMA's Nicole Andrews told MSNBC.com that the agency had staffed up to 12,000 telephone operators, many on loan from the IRS. Some, she said, were outside contractors. One of those outside contractors is Augmentation Inc., a call-center firm based in Rockville, Md., just outside Washington. According to the Washington Post, Augmentation had about 1,000 people answering the phones for FEMA last month. According to documents on FEMA's Web site, the firm has a $31 million contract for "temporary staffing." But the company isn't great at answering its own phones. An operator hung up twice on a reporter who asked for the name of a public affairs official. Eventually, messages were left for company executives, but they were not returned. And FEMA representatives didn't return phone calls seeking comment about Augmentation or the FEMA call centers. The Red Tape blogger, Bob Sullivan, also reports on the skeevy, quick-hire program for FEMA insurance adjusters, farmed out by FEMA to insurance companies. Click here to read Sullivan's post on FEMA contractors. WASHINGTON - The Bush administration will reinstate rules requiring that companies awarded federal contracts for Hurricane Katrina pay prevailing wages, usually an amount close to the pay scales in local union contracts. The White House promised to restore the 74-year-old Davis-Bacon prevailing wage protection on Nov. 8, following a meeting between chief of staff Andrew Card and a caucus of pro-labor Republicans. Here's what I hear from my Capitol Hill sources: the president, who suspended the Davis Bacon provisions that guarantee people working on federal contracts are paid the prevailing wage, was concerned that he not be seen as caving in to Democrats. The Dems were lead by Rep. George Miller, who used a little known parliamentary motion to force a vote on the suspension. Under pressure, Bush agreed to rescind the suspension by December 8th. But at least one Republican said that he would vote for the Miller resolution if the suspension was not lifted earlier. And no question that the fact that the Building Trades put pressure on Congressional Republicans (37 signed the letter to Bush supporting the reinstatement of Davis Bacon) helped. In any case, Bush caved. The suspension will be lifted on November 8th. TALLAHASSEE, Fla. - Homeland Security Secretary Michael Chertoff on Wednesday defended FEMA’s decision to extend former director Michael Brown’s post-resignation employment by another 30 days. “It’s important to allow the new people who have the responsibility ... to have access to the information we need to do better,” Chertoff told The Associated Press as he flew to view Hurricane Wilma’s damage in Florida. [T]he acting chief of the Federal Emergency Management Agency has pledged that millions of dollars of government contracts initially awarded without bids will be reopened for bidding. But there has been no guarantee those contract reconstruction jobs will go to New Orleanians who desperately need the work and money. "People we talked to down there said jobs, jobs, jobs," [Mike] Davis[, a writer and historian who recently returned from New Orleans] says. "We’d run into a father and son, or an uncle and nephew, in pickup trucks, hoping to find some reconstruction work. They’re baffled that a month later, there are no real jobs." Brendan Danaher, AFGE's point man on the Hurricane Katrina aftermath, calls our attention to this item on TPM Cafe by Rep. George Miller (D-Calif.), who has offered a resolution that would restore the fair wage protections, rescinded by President Bush, for the contruction workers who will rebuild the cities and towns of the Gulf Coast. Under a bill known as the Davis-Bacon Act, workers hired to rebuild after a disaster are guaranteed the prevailing wage in the region in which the disaster took place. Every single House Democrat, 37 House Republicans, and one House independent are on record opposing the President's Gulf Coast wage cut - a clear majority of the House of Representatives. But Republican leaders in the House have refused to allow a vote to overturn the wage cut. Now it looks like they have no choice. I was able to determine that, under the 1976 National Emergencies Act, I am able to force a vote within 15 calendar days of introducing a "Joint Resolution" - which I did at noon today. In this case, that means that if Congress doesn't act by Friday, November 4, I can go to the House floor and demand a vote on my resolution. Congress then has three days to schedule that vote. So the bottom line is this: by the first or second week of November, there will be a vote on whether or not construction workers who are rebuilding the Gulf Coast will get a fair wage for their labor. Note that we're not talking about some high-bottom wage here. In the Gulf Coast region, we're talking about a wage around $7.00 an hour. That's right: $7.00 to handle materials imbued with toxins and covered in mold. Seven dollars an hour to haul lumber, power tools, slop buckets--and who knows what else--around construction sites. Seven dollars an hour to risk life and limb in an environment so changed that its present constitution remains a mystery even to the experts. For this, President Bush thinks $7.00 per hour is too much. If we've succeeded in making you mad as hell, please sign the petition being circulated by the AFL-CIO's Working Families network. And call your representative in Congress, and demand that he or she vote for Congressman Miller's resolution. To read Rep. Miller's piece on TPM Cafe, click here. Click here to sign a petition demanding a fair wage for Gulf Coast workers. Thanks to your protests and a clever legislative maneuver, Congress defeated President Bush's attempt to cut pay for workers already in economic distress, forcing the president to rescind his executive order that revoked Davis-Bacon Act community wage standards from construction workers who will rebuild the Gulf Coast. Click here to view the petition that helped win a living wage for Gulf Coast workers.